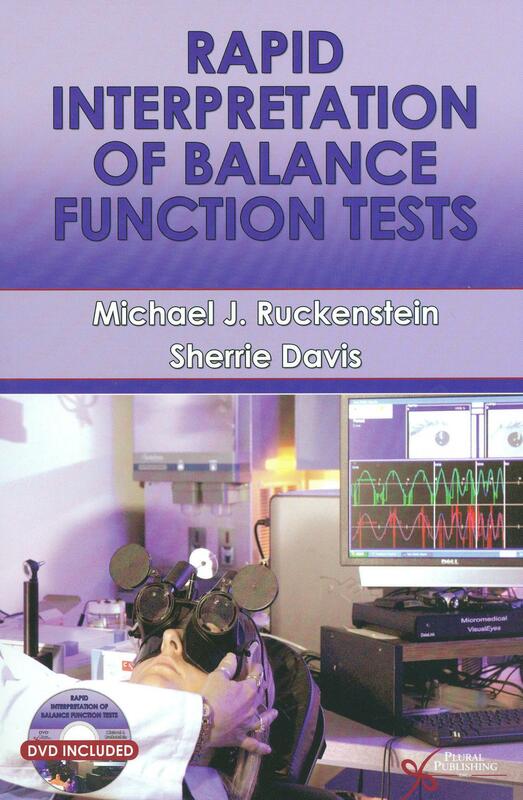 Rapidity has never been the issue for me in interpreting tests of balance function. As testing has become more sophisticated, I have gazed at the saw toothed traces, the irregularly margined circles and the calculations to several decimal places, with complete incomprehension. I am so grateful for the final paragraph, hopefully offering some insight and conclusion and, if it mentions a successful Epley manoeuvre, how much the better. The preface notes that residents, asked for a choice impromptu lecture topic, “invariably request a review of balance function testing”. There must be a greater divide across The Pond than I had realised, as UK trainees will, at most, seek some insight a few weeks before the final exams. Chapter 1 was bound to be basic sciences and I was determined to skip it, until I read the subtitle “Yes, You Can Understand This”. That actually set the pattern throughout the book; any time it got too complicated, the chapter suddenly ended! Findings were explained in context and this Old Dog did learn some new tricks. Ewald’s Second Law begs the obvious question and even his first would be news to me. It was simple enough and I began to realise these authors have a knack of explaining in terms that even a surgeon can understand. Chapter 2 is “The Approach” which, wisely, tells us history is (almost) everything. The rest of course is the subject of this book. It usefully divides balance disorders into the postural light headedness, ataxia, true vertigo and that “vague sensation”. The last was once “psychogenic dizziness” but is more tactfully now termed “Chronic Subjective Dizziness” or CSD. I was amused to hear that it is diagnosed within 5-10 minutes of any consultation (that long?) but, in all seriousness, typical features are particularly well described. I enjoyed the contrasts in time courses for causes of true vertigo, whether positional, migrainous or due to vestibular neuronitis. These were again well thought out and one to save for a future lecture. Chapter 3 is the essential message, what such testing can usefully tell the clinician, whether site of lesion, quantifying the abnormality, or judging degree of compensation. Discussion of Vestibulo Ocular Reflex inevitable leads onto nystagmus. My generation learnt of every central feature of eye movements and its brainstem locality, knowledge now somewhat replaced by the ability to complete an MRI request. By Chapter 5 I finally understood the headshake and headthrust tests. Obviously I knew about the posterior canal and the Dix Hallpike, but what about if the horizontal canal is affected? I have already forgotten the distinguishing features I confess, but did understand it at the time! Caloric testing is said to rely on convection currents, I read with a smug sense of satisfaction at my superior knowledge, aware of 1970s Skylab experiments, with astronauts in zero/microgravity. Density means nothing in space as you and your labyrinth float around, but hot water in your ear still makes you spin (not quite as much I admit)! It is partly thermal thing directly influencing the resting rate of nerve discharge. I was glad to read that Directional Preponderance is “not a useful parameter”, as it has never proved such to me. The book progresses to the more advanced investigations of rotation (I have happy memories of sitting in a pitch black room in New Orleans, in 1983, slightly hung over, as I was spun around and around, for my education) Postural control, those tests of sway, the wobbly platforms that risk a fractured hip, make more sense on reading. The book closes (rather suddenly, it needed a summary I felt) with Otolith function, hard to assess without an astronaut’s rocket sledge or Apollo launch pad. VEMPs to the rescue. There is a disc showing a series of images of eyeballs moving in ways that do make more sense now, but do provoke a slight sense of dysequilibrium, I thought. I could not get the sound to work, but imagine there is such. I had hoped to see demonstrations of the various tests described, not just the eyeballs, but the textbook itself is very good value. It is written in an accessible style; it gives practical information and does tackle what can be a baffling topic for many of us.